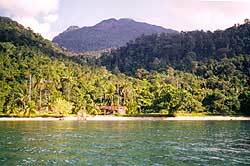 View of Tioman island. 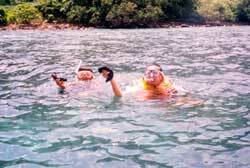 This part of Tioman (southern tip) is 10 minutes' walking distance from the subject property. The subject property is fronting the beach and is on a gentle hill. The beach is clean and the water crystal-clear. Here "Gamat" is caught in waters fronting the subject property. 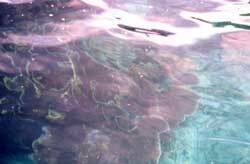 Needless to say, one can see fishes and coral too in the waters fronting the property. 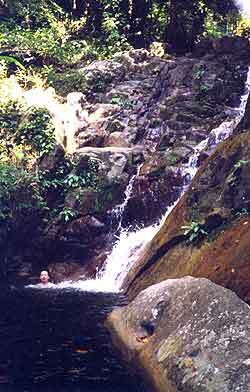 This is the famous Mukut waterfall which is only a few kilometres away from the property.